When: For our second barn adventure, we headed out in the early am to avoid the heat of the day. 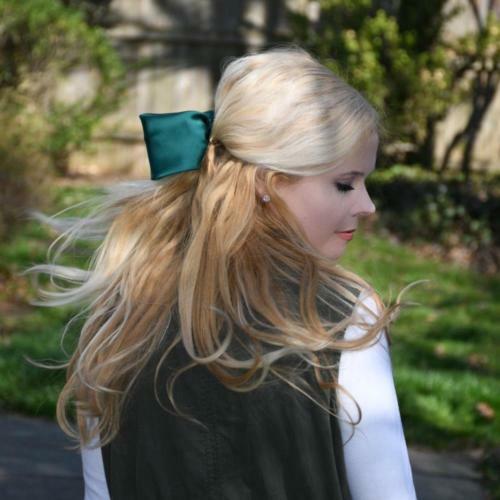 Bettter for horse and rider. We brought snacks and drinks. 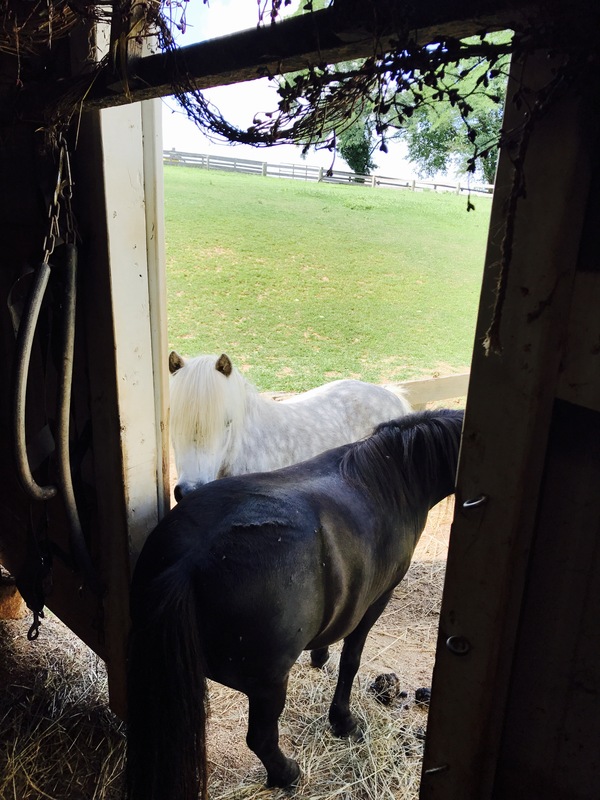 The horses were already in their stalls, as per their summertime routine. In the heat of the summer, many horses are stalled during the day to avoid the heat, flies, etc., and then out in the field at night in the cool of the summer. What did we bring: We gathered our favorite Mrs. Pastures treats/cookie jar and our Amazon backpack of grooming supplies ,which could not be any cuter or more practical for little hands, (see picture: items including but not limited to a hoof pick, body brush, curry comb, dandy brush, mane comb). 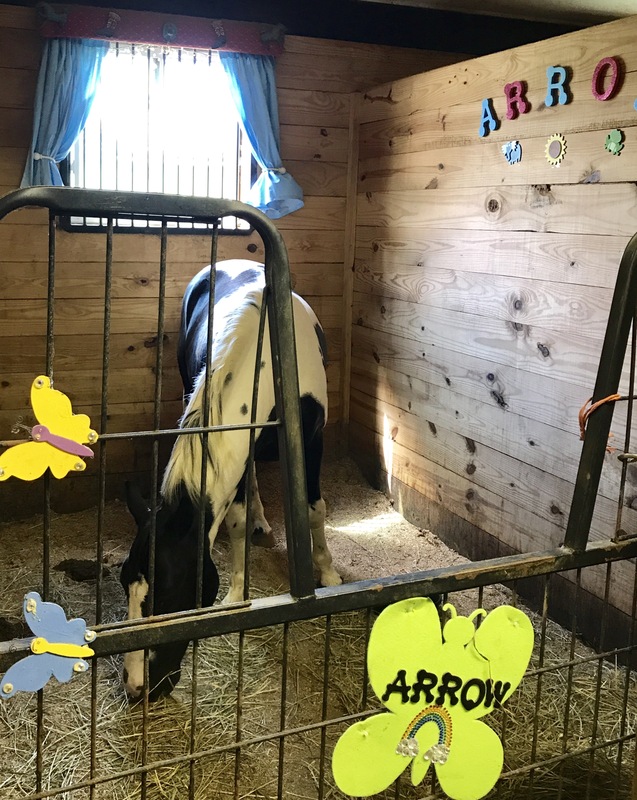 What did we do: Arrow’s stall was decorated with brightly colored letters, butterflies, curtains, and other decorative pieces. We groomed him in the stall and then proceeded to the cross ties for additional grooming time. G enjoyed assisting with feeding horse treats and grooming. We talked about the various grooming tools and how to groom the various parts of the horse, e.g. soft brush for the legs and face. 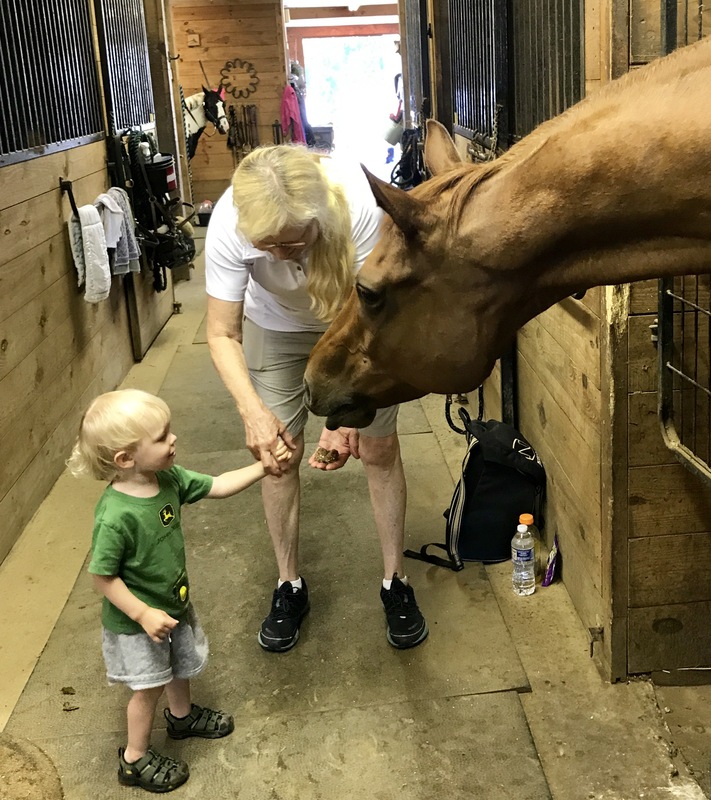 He especially enjoyed visiting with Ellie, our beautiful chestnut Thoroughbred mare. We also brought her out of her stall and he watched as I curried and brushed her. His confidence had grown since the last barn visit and he was enjoying walking the barn aisles, visiting the horses, and watching horses and riders in the various stages of their barn day, some riders tacking up getting ready to go out, some in the indoor, some cooling out and getting baths in the wash stall. Of course, we said hello to Tango & Tina, the miniatures. 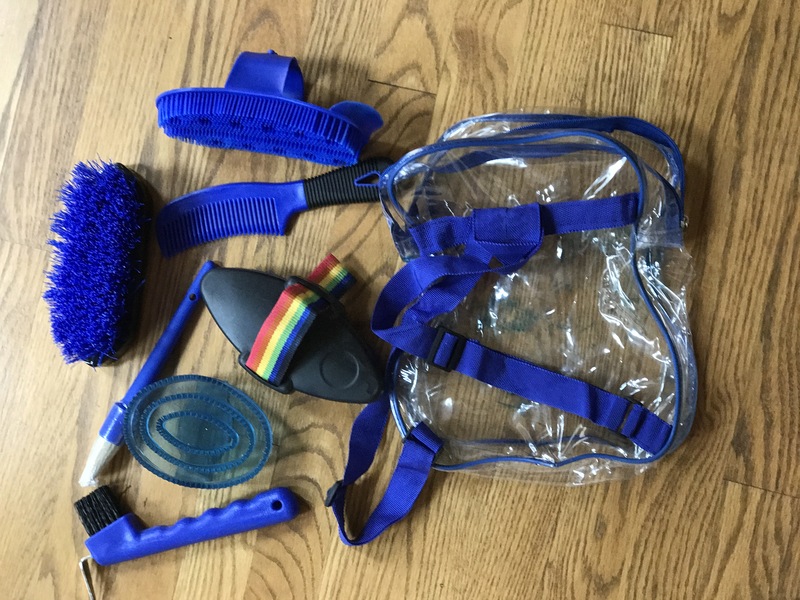 Saddle: While we have not gotten G into the saddle yet, we are currently exploring options for the best saddle for him which is a bit of a process with young riders to ensure safety and comfort for rider, as well as proper fit for the pony.